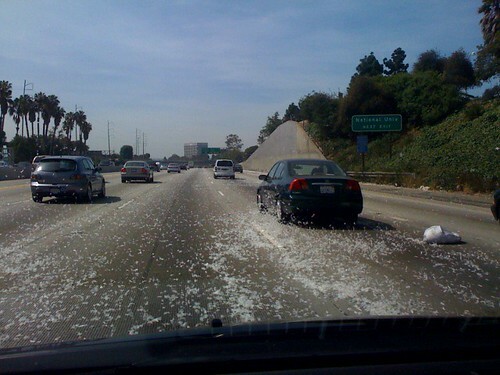 A week ago today I was caught in a storm of feathers on the 405 South. One of my stranger LA observations of late. Next blog post: What's in a name?